Alex Trebek needs no introduction to the millions of Jeopardy! fans who have watched him host the quiz show over the past 26 years. But what they may not know about him is his singular dedication to geographic education. 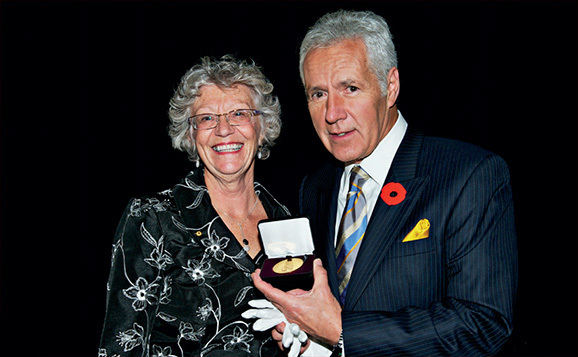 In addition to his busy television career, Trebek has hosted many student geography competitions over the years, including the National Geographic Bee in the United States and the Society’s Geography Challenge in Canada. While the Geography Challenge is now held online, Trebek has fond memories of hosting the national finals in Ottawa, from 1995 to 2002.